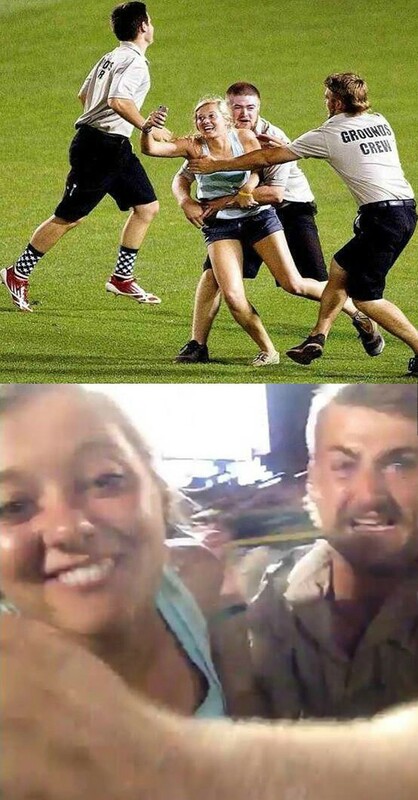 A girl posted a Vine of herself running on to the field during the College World Series and ended up with maybe the best selfie ever. Three girls from Omaha, Neb., were captured by security on the field during the final game of the College World Series. Kayleigh's tweet was deleted, but it appears as if this magnificent selfie was actually premeditated. Kayleigh and the two other girls were captured and escorted from the park. Here is some additional coverage of this epic moment in taking photos of yourself. And lastly, a GIF of her now-deleted Vine.